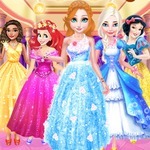 When it comes to think of a girl game, Princesses Turn Into Mermaid is a good choice on Abcya3.net. Two princesses got an accident. Unexpectedly, they change into mermaids. This is a wonderful experience. Swim far and explore the beauty of the sea. 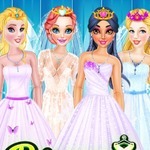 Princesses Turn Into Mermaid game of abcya is engrossing. 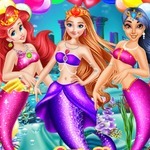 Princesses Turn Into Mermaid free game is so nice. The story is about two royal girls, Moana and Rapunzel. They fell down in the water while they were sailing a boat because of a sudden tornado. Ariel mermaid saved them while they were drowning. 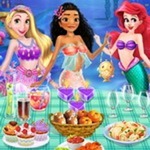 Ariel invited them to her dinner party and asked them to turn them into mermaids. 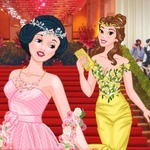 Two princesses agreed at abcya games. 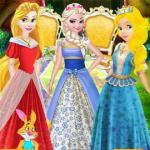 Rapunzel chooses wavy long hair, long straight hair or curly hair. She puts a mane, a lily flower, a starfish-shaped hairpin or a crown on her hair. Select an outfit from a purple tank top with a same colored tail, a blue top with a pink tail, a pink outfit, a red top with an orange tail, and a white tank top with a blue tail. 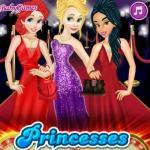 She will wear bracelets or hold a handbag in abcya online games. Moana needs to pick a blue outfit, a yellow outfit, a pink outfit, and a navy blue outfit with yellow small flowers. 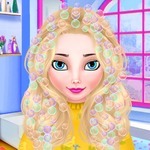 She can have wavy, straight or curly hair. 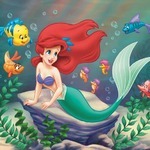 The girl wears shells, flowers or coral – shaped hairpin. She holds a purse or a handbag. 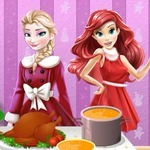 Decorate the dinner table. Choose a tablecloth and kinds of food. We supply sandwiches, hamburgers, fries, roasted chicken, steak, pasta, fried chicken, cupcakes, donut, mango, watermelon, strawberry, and pizza. Select a kind of drink and pick a flower vase. Everything is perfect. 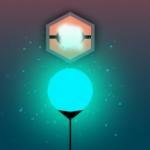 Do you fancy this game? Recommend it if you like it. Rate it highly. 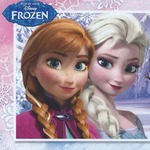 Join Ariel’s Mermaid Party and Elsa Parent Child Outfit Collection at http://abcya3.net/.